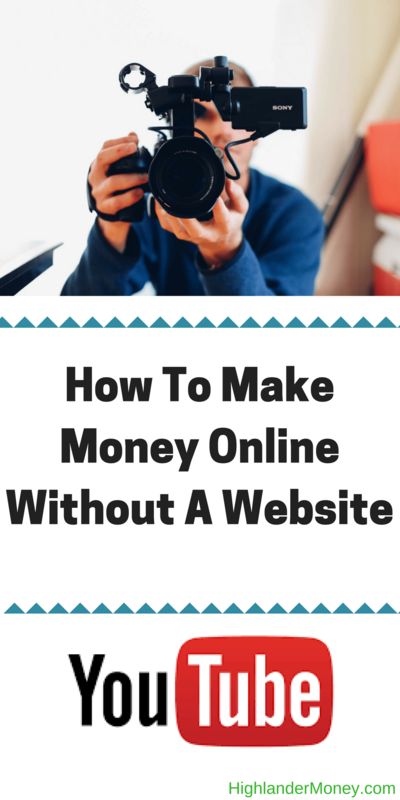 Today, I want to share a technique of making money online without owning a website. This technique combines two forms of making money online into one. 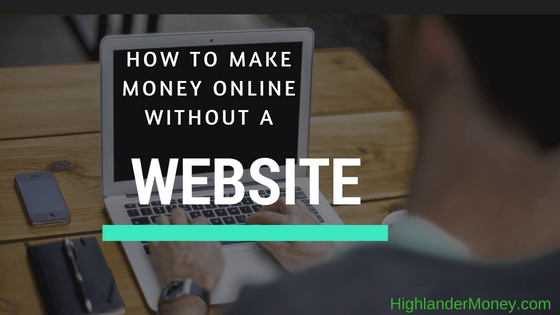 So, I will show you how to make money online without a site. It’s relativity easy as well and especially gets more comfortable after doing a few of them. The beauty of this system is it can be another form of making money in addition to owning and operating a website but owning a website is not necessary. I believe in more and more in creating multiple streams of income, and this would be another trick in the ole’ bag of tricks in which to make earn income online from. Having not to rely upon one single source of income is very empowering and…so whether this is going to be your first or 5th income generator, the point is to find new ways that will bring in money. So, don’t stop at one and be done. Find multiple ways to earn money to find financial freedom. You can do it. Even if it only a couple of dollars a month! You might think why bother with such low amounts. First, you should be ecstatic patting yourself on your back for accomplishing a major feat. It is the first step, and the first step is so amazing because we embark on a new path of uncertainty. Also, let me tell you why you should bother because if you can make just one dollar a month from any method, that method can be improved upon. By approved upon, I mean altered, marketed differently, improved description, shared socially, established authority, etc, etc. Meaning you can scale it up in size as well, maybe doing more post, more social media sharing, making more videos promoting products. With skipping the whole owning and maintaining a website, you’ll streamline the entire process of affiliate marketing. Where you don’t have to spend countless hours learning the proper SEO techniques or getting important backlinking just to name a couple examples. Believe me; there are numerous to know and keep on top of. It’s great for someone looking to get started with affiliate marketing. I am not knocking down owning a website. I own a few of them myself, I just realize not everyone wants to commit that much time and effort into owning and maintaining a website. It is work people, but it is also worth it in the end. I just like to suggest a way for people that will never own or want to own a website. Plus, they might change their mind after they have their paradigm shift when they learn that they can earn money online and want a website of their own. Owning a website is work. That is just a fact. But it is also gratifying in many ways. If you are interested in creating and learning how to use affiliate marketing by owning a website, I would refer you to my Review of Wealthy Affiliate. The beauty of this is you can also start making money right away. Did I say right away? Yep…right away! Most people know that you can make money by just creating videos on YouTube, but you will not be making much money, as it is hard to get views and by no means is it a quick way to get money. To make money on YouTube, you must consistently upload high-quality content to your channel and gain viewers who you will watch your videos, a fan base. Forget about making a viral video, yeah you might be that person that makes a video that goes viral, but it’s highly unlikely. We are not going to focus on viral videos because it’s like getting a picture of Sasquatch. Next to impossible. The thing I want you to realize is that the platform, YouTube is taking the place of a website, as the medium of owning a website. The money that you make from YouTube from monetizing your YouTube channel won’t be a lot, but it is possible. This isn’t where we are going to be making the majority of our money from. YouTube is the second biggest search engine in the world. If you are not using this you are severely handicapping yourself. Often videos will rank not only on YouTube but also within other search engines and even sometimes on the first searched page. This is highly sought after as it brings more traffic, as most people don’t search past page 3 or search results. 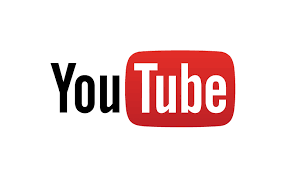 The beauty of what YouTube does do is it frees up time not having to maintain and implement countless SEO strategies of owning a website and using YouTube as the website. You just upload a video, enter a description, and some tags. So, if you don’t have a YouTube account…GET ONE!! As we are going to be needing it to help bring in money for ourselves. So before I get into more on the affiliate part, I want you to come up with what you have a passion for. What are your hobbies? What do you enjoy doing? This is the niche I want you to focus on for making videos on YouTube. It could be cars, bike riding, hair care, stamps, writing, singing. It could be just about anything but keep in mind you want to promote some kind of product along with this. How great is that? Doing something you already enjoy doing! This will translate to your viewers and your work. When your passionate about something it is contagious. People love that kind of energy and flock to it. So pick a niche you love, and the work will just flow out of you. For those that don’t know anything about affiliate marketing, I will go through this quickly. Affiliate marketing is having a particular unique link from a company that identifies you specifically, and whenever someone clicks on that link (PPC or Pay Per Click), or buys something (CPA or Cost Per Action) from simply clicking your unique link. You earn a commission for bringing that person to buy something. The amounts vary per company as well as products. Below is an affiliate link to, it is the part after .com. It is the /?code=sabu. Each company has different affiliate links they all will be different. I am going to suggest three methods of finding affiliate companies. Specific Affiliate Companies – CJ, ShareASale, Amazon, Clickbank, etc. Manufacturer Or Company – If you can’t find a company affiliate try their website some allow you to join right through them. I put MagicLinks number one because it’s an all in one affiliate link that is designed specifically to promote affiliate links on ANY social media site. On this post are focusing on YouTube. MagicLinks is a fantastic way to monetize your YouTube channel and also to any social media site as well. Did I mention it is free also? Also, they have over 100 Million products in which to promote potentially. Some of the affiliates actually pay more by joining MagicLinks as opposed to joining through the company itself. They are able in some cases to get more money due to their numbers of affiliates. To read in more in detail about MagicLinks head on over to my MagicLinks Review. Click here to join MagicLinks! It’s easy to sign up and start using. If you don’t happen to find what you’re looking for in MagicLinks after signing up try the other routes listed. Now, I want you to take your niche idea and write a list of 15 products ideas you can review or just explain to people. Then choose the best 3 out of the 15 for a video. If you have a keyword research tool, this helps a lot. What a keyword tool lets you do is find the most active and the least competitive keywords to drive traffic. Picking the low competitive keyword that gets a lot of searches will do wonders for your video. There are a few keyword research tools out there. I use Jaaxy. The great thing about Jaaxy is they give you 30 searches for free to try it out. I have a video of Jaaxy, which I will put in the below. This will help you tremendously. 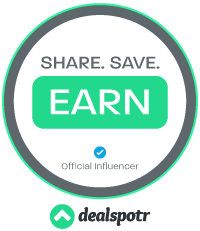 To try Jaaxy for free, click Join Jaaxy Now. You don’t need a keyword tool, but it sure does help a lot. Once, you have joined MagicLinks and maybe done a little research, and you should be looking for products relating to your niche under Find Products within MagicLinks. Then simply clicking Create MagicLink, then also clicking Select & Copy Link once you have found the specific product you want to make a video about. You should be picking something you have knowledge about, so you can easily talk about it during the video and also for writing the description. If you choose something, you know nothing about you can research it yourself and then make a video on it. You’re going to need a webcam or a screen capture software in order to make a video. I use Screencast-O-Matic, and it’s pretty decent and not too complicated to use, did I mention they have a free version too. You can upgrade later, if and when if you decide to do this full time. But with the free version, I believe you have a 10 minute limit on the video you create. If you are new to making videos, the best piece of advice I have is just to do it. You will become better at it by just doing it. In time you will improve. Think about if you were watching a video and what information you would want to find out about it, and then incorporate that into your video. Make it informative and promote the negatives along with the positives. Be honest. Offer your unique opinion. Provide useful information, and you will establish trust. Go over the details of this offers. 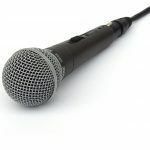 Upload your video to YouTube and be sure to fill out the description section, highlighting what you spoke about. This is a very important step, as this will affect your ranking on YouTube, as well as other search engines. Adding keywords, you found during your research should be added naturally within the description. ***Important*** Add affiliate link to the top before description and again at the bottom of the description. This is the money maker. 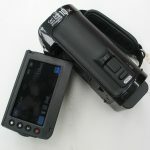 People will hopefully click this if you have provided useful information about the product. Also, fill in the tags section. This is just simple one words or phrases that apply to your topic of the video. Just type a comma after the word or words, and it is automatically added. The money you’ll make from YouTube from people watching your adds isn’t what we are after. Whatever you make is just icing on the cake, btw, it won’t be much til you acquire lots of traffic. Just make the video, you’ll learn from your mistakes. Don’t over analyze every detail. You will get better at making videos. Trust me. Take action. Sometimes it helps to have a bulleted piece of paper with highlights in front of you while doing the video for a bunch of reasons. Remembering key features, small hard to remember details, makes the video flow better. Give yourself time to learn and become familiar with programs and software properly. Reference within the video to checkout link below in the description. Get a YouTube account, if you don’t have one already. Think of a product or niche to do a review on. Sign up for MagicLinks or other affiliate services. Find the specific product you are reviewing or talking about affiliate link. Research keywords pertaining to the product. Use webcam or screen capture software and make a video. Add affiliate link to top and bottom of description. If you have any questions or suggestion, I would greatly appreciate hearing them.